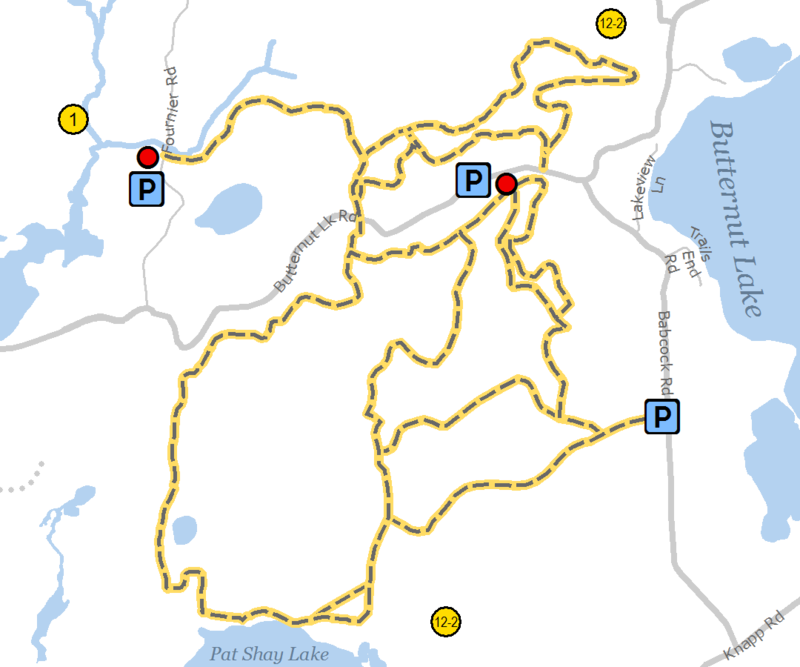 Location: From the intersection of Hwy 45 and Hwy 70 on the east side of Eagle River, continue east on Hwy 70 approximately 8.5 miles to Military Road Turn south on Military Road and continue to Forest Road 2181 (Butternut Lake Road). Continue on FR 2181 to the intersection with Forest Road 2425. Turn south on FR 2425 and continue about 1.5 miles to a parking area on the west side of the road.